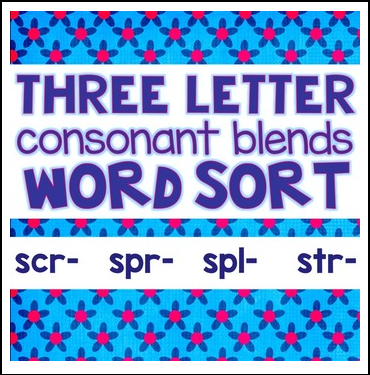 This activity is for students working on three letter consonant blends. It comes with 16 word cards (with consonant blends: spl, scr, spr, and str), a sorting mat, and a worksheet that goes along with the activity. After students sort the word into the correct category, they record their answers on their own worksheet. 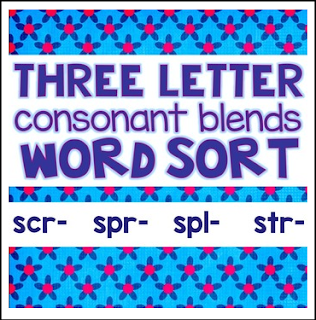 I would print on card stock and laminate the word sort mat and word cards for extended use.